When you invest your hard-earned money into a new home, there are a number of considerations that exist that ordinarily would not; like when you purchase an old home from an established occupant. An established home will have the usual wear and tear which the seller can readily identify at the time of the sales enquiry. Buying a new home is different because you will never get to meet the bricklayer, plasterer, roofer, ground worker or plumber that had a personal hand in building your new build property. 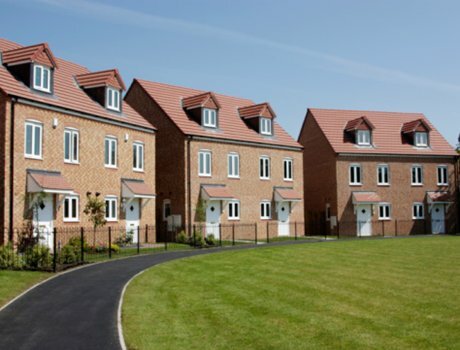 Moreover, buyers of the new build properties will readily believe that just because the home is brand new and not lived in by any other, it will automatically be in perfect condition. Unfortunately, this is not always the case. One of the most important things to consider when buying a new build home is to get a snagging report completed. A company will survey the property and look for snags – issues and faults within the construction of your new home. A snag is something that is not going to work effectively and it is often only discovered long after the new occupants have moved in. A snagging survey can identify the key problems before the move and get the developer and estate agent to rectify these faults before you hand over any hard-earned cash. Buying a new build property is stressful enough as it is. Moreover, any incumbent occupants will be expecting the place to be in pristine condition, simply because it is new. Sadly, this is not always the case. Shoddy workmanship and tardy finishing is commonplace in new build properties; so why is this happening? Most developments are under tight deadlines to get finished. Often, one set of tradesman are told to complete their tasks by the end of the week, so the next trade or skilled construction builder can take over from the completed work. An example being: the roofers cannot even start their part of the project until the brickwork has been completed. The result of this is the work is often rushed and standards occasionally slip. Snagging surveys can identify so much within a new build home. The report highlights any plumbing issues, electrical faults, shoddy brickwork and poor quality ground in the exterior areas of the new build home. This is why you should look to business like Home Snag to arrange a full survey.